Summer is coming very fast and I think a flower top like this could come in handy. The pattern is written for a sleeveless top, a top with sleeves and even for a dress -3 in 1. 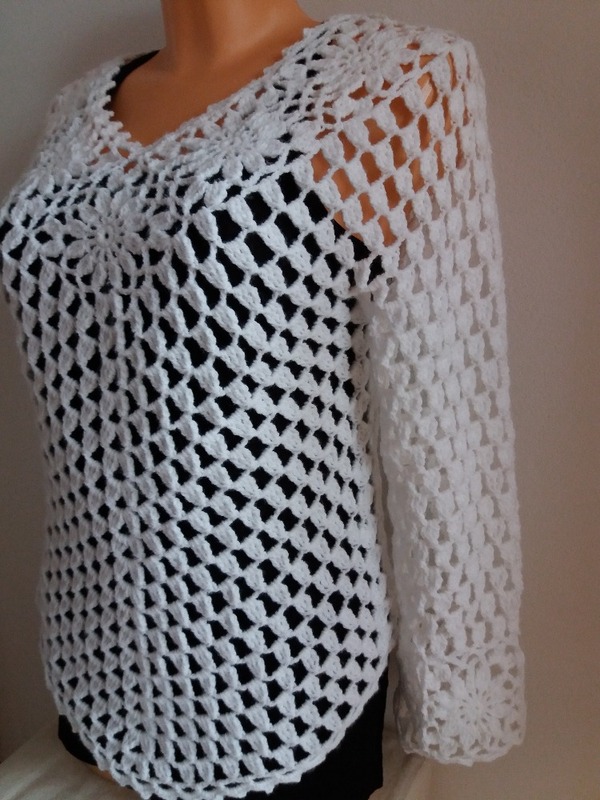 To crochet the top is not as time consuming as my pineapple patterns usually are. You can see the progress very fast. 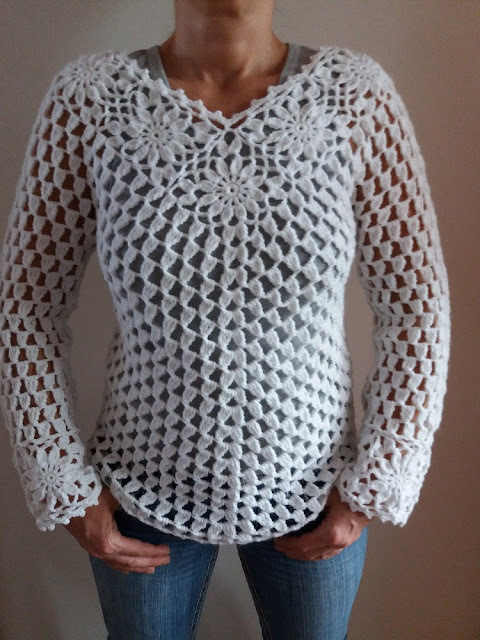 For this top with sleeves I used 220g of cotton (100g = 416meters) suitable for E/3,5 mm hook, but I used a little bit bigger crochet hook than suggested - G/4mm. 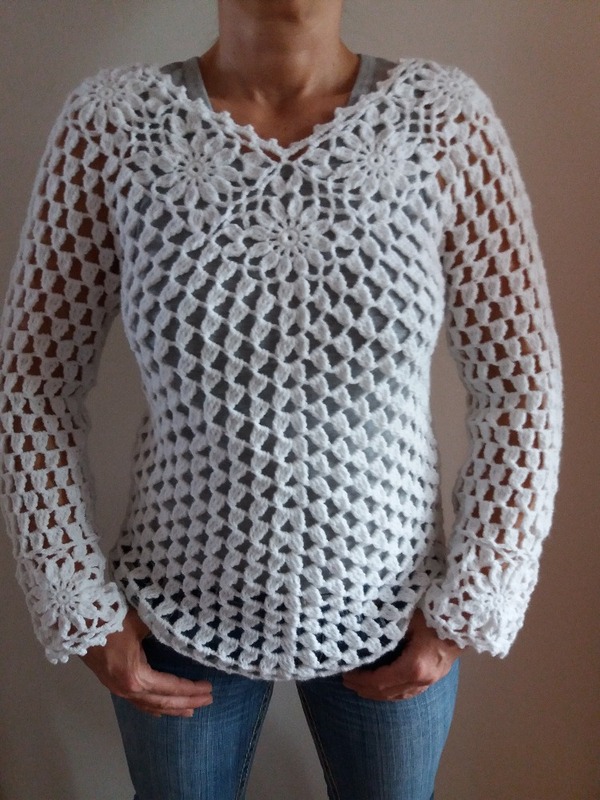 The neckline and cuffs are crocheted by joining flower motives. 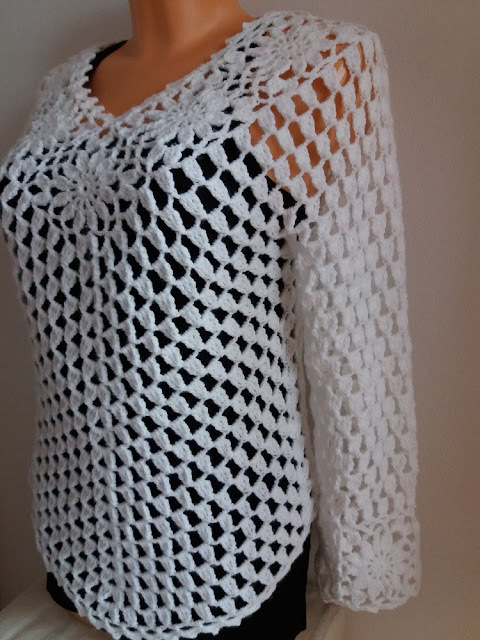 The body and sleeves are crocheted in rounds. The crochet stitch is a bit stretchy, that way the pattern can be used for more sizes S, M, L. You will find the adjustments for larger sizes XL and XXL within the full written pattern as well. 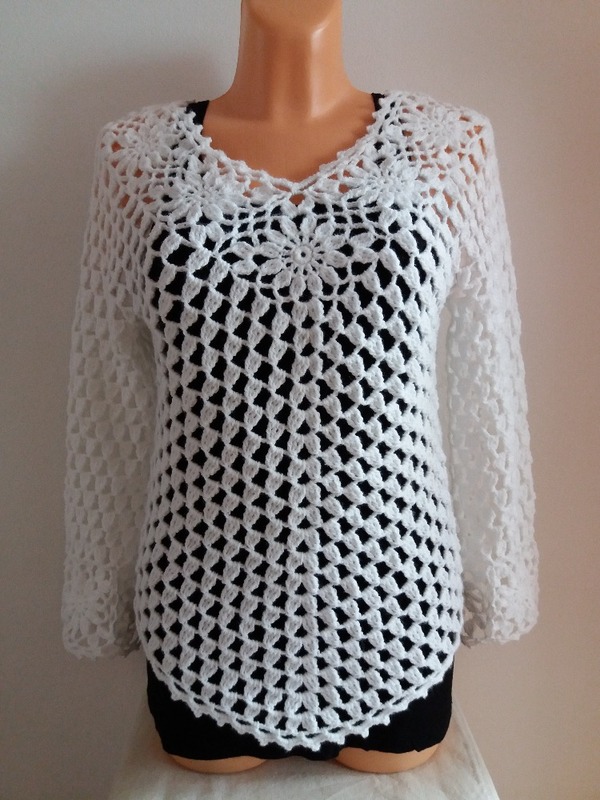 There are many pictures to help guide you through the crocheting, and supporting the written pattern. I do believe this pattern is suitable for a dedicated beginner as well.